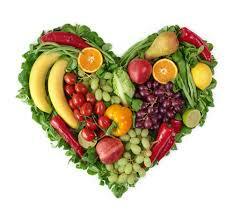 Do You Have A Healthy Relationship With Food? I know I do. And I know a lot of you do as well. I think I am writing this post to let YOU know that you are not alone. Even the ones who, on the outside, seem to have it all together, the ones who seem to have their training and nutrition in check still fight with demons on a daily basis. In fact, I am writing to you the day after I binge ate my way through the fridge. I had finished off my last meal for the day and started up a movie to hopefully wind down and then call it a night. I had eaten all my food I was supposed to eat for the day (my macros). I started playing head games with myself. Is this you? For the longest time I have struggled with the feeling of feeling full. Screw 80% full. I want it all. And I usually eat until I am wayyyyy passed full. So far past that my stomach hurts and I can’t sleep. But then I get write back on track the next day tracking my food. Today I told myself I need to stop this craziness. To learn to have a better relationship with food. To be able to go have a burger and fries and feel happy. To not also pick up candy at the gas station, eat it on the way home and to also see what I have in the fridge. To learn control. This is my struggle. And if this is you as well, you are not alone. I wrote a plan of action down. My new goals after last night’s binge. Of how I am a new person. Of how I am going to change. But we both know I will fail at some point. Is that ok? I think it is. Can you accept it and grow from it? You are not alone with your demons. Talk about them. Write about it. Try to be a little better each and every day. I will mess up, but as I write this I have made huge strides with my relationship with food. I am still not perfect, but that’s not the goal. Today is another day. A day to be a little bit better.